"Look around the room and think about how many things fold....paper, clothing, our skin, even DNA, is folded. 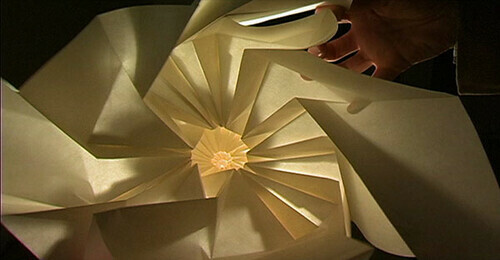 You and I are born from folding...."
one piece of paper transformed by folding. No scissors. No tape. No glue." "Between the Folds" is director Vanessa Gould's fascinating documentary about the modern condition of the ancient art form of Origami. From the "Father" of modern Origami, Akira Yoshizawa, to the breakthrough research of MIT professor, Erik Demaine, this film coalesces the many paths Orgami has taken into a beautifully inspiring film. Contemporary origami has superseded the simple folds of the crane and the fish, and has branched into many forms to suit the needs of artists, mathematicians, enthusiasts and teachers. Yoshizawa is attributed with inventing the diagramming system that uses pictures alone to fold two-dimensional paper into three-dimensional objects. Once these diagrams started and ended in under ten folds. Now you can find pictured instructions for hundreds of folds. Contemporary Origami enthusiasts are even using mathematical algorithms to describe their techniques. 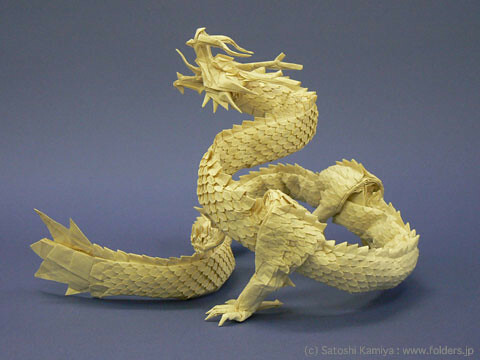 This dragon, by Satoshi Kamiya, took over a hundred hours to fold from one single piece of paper. The unique styles of Origami artists are amazing, considering the limited list of materials. Yet great variety comes from handmade paper of different materials, diverse philosophies on folding methods, and distinctive applications for the Origami itself. Humanity has a need for things to fold. We carry and store objects (often more than we have space for). We build and attempt to travel to places no one has gone before. We teach each other complicated principles that need to be diagrammed. We desire to better understand how the natural world functions. Origami corresponds to each one of these pursuits, and along the way, we realize it's just plain fun! 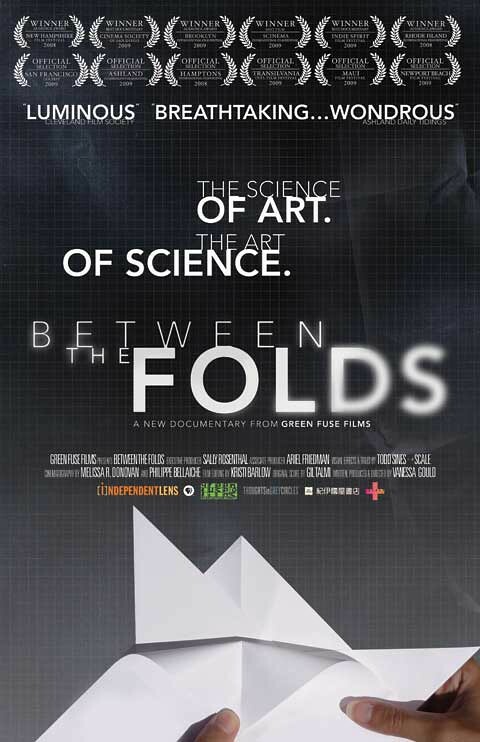 "Between the Folds" is a fabulous film, suited for all ages. It's wonderful to watch while you are doing some creative work of your own! I promise it will inspire you to think of a simple sheet of paper as a limitless world of possibility! I have done a few simple Origami pieces before but never quite looked at it the way this post describes it. Really never realized how intricate and detailed the process of origami can be.